Yes, learning German can be fun for your child! 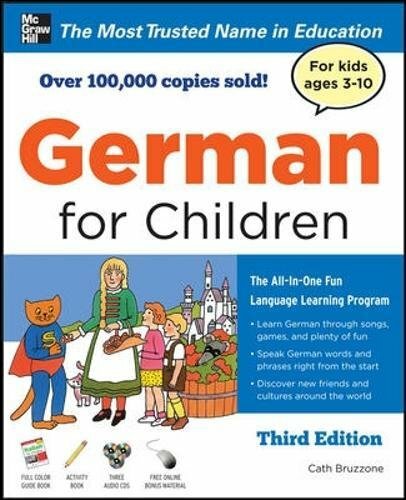 Developed by language-learning expert Catherine Bruzzone, the German for Children program is a fun and effective way for your child to learn the German language and culture. This introduction gets your son or daughter speaking German right from the very beginning and keeps him or her engaged with a wide range of activities and games that keep language-learning fun. Advice for you on helping your kid get the most out of thelanguage-learning experience. Free print and audio downloads. By Brand: Bilingual Books, Inc.